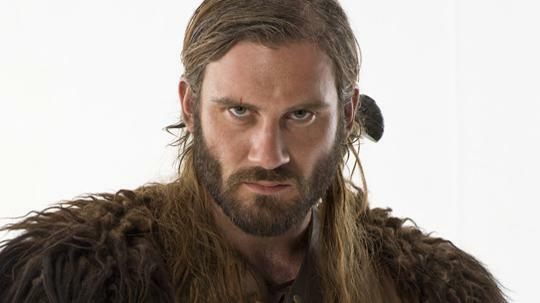 ‘Vikings’ Star Clive Standen Cast In ‘Patient Zero’!!! In addition to the Whovians watching every move Matt Smith is up to since his reign as the Eleventh Doctor came to a close, there is a new legion of fans that flock to History’s ‘Vikings‘, I’m proudly one of these freebooters, rovers…um I don’t know what we’re called, exactly, but I LOVE ‘Vikings‘! What do these two shows have in common you may ask? Smith from ‘Doctor Who‘ and Clive Standen from ‘Vikings‘ (and also a few episodes of ‘Doctor Who‘!) are now cast in the same movie – ‘Patient Zero‘. Stefan Ruzowitzky is directing a script written by Mike Le with Vincent Newman producing. ‘Patient Zero‘ follows the story of an unprecedented global pandemic has turned the majority of humankind into violent “Infected,” a man gifted with the ability to speak the Infected’s new language leads the last survivors on a hunt for Patient Zero and a cure. Already cast, besides Smith, are Stanley Tucci, Natalie Dormer and John Bradley. Standen will play Sargent Knox, a rough around the edges military leader who is trying his hardest to control the uncontrollable situation. ‘Vikings’ Season 4 Volume 2 Comes To Blu-ray and DVD This Fall!!! 4K UHD Review: ‘The Hunger Games: Mockingjay Part 1’! This entry was posted on Tuesday, February 24th, 2015 at 5:09 pm	and is filed under News, Television. You can follow any responses to this entry through the RSS 2.0 feed. You can skip to the end and leave a response. Pinging is currently not allowed. « ‘Pee-Wee’s Big Holiday’ Lands At Netflix Exclusively! You know who's going to inherit the Earth? Arms dealers. Because everyone else is too busy killing each other. That's the secret to survival. Never go to war. Especially with yourself.